For more on J. Maarten Troost, check out this interview over at Vagabonding. wwoww..Thnx for the info..I feel interest to your blog...I wonder if we could link ex-change to my Travels and Tours Blog.Just visit my blog and leave your blog info..Looking forward on this Thnx.. I enjoy your site. Your focus is a favorite topic of mine, and the site is fun to navigate and nicely written. 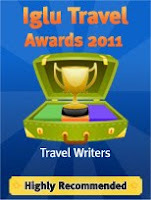 I fancy myself a bit of a travel writer (check the Travels tab of my blog, guitardad.weebly.com). Keep up the great posts! I look forward to dropping in occasionally. Wonder what you'll think of my travels in India. hey everyone, thanks for stopping by and leaving a comment. Will definitely come visiting.